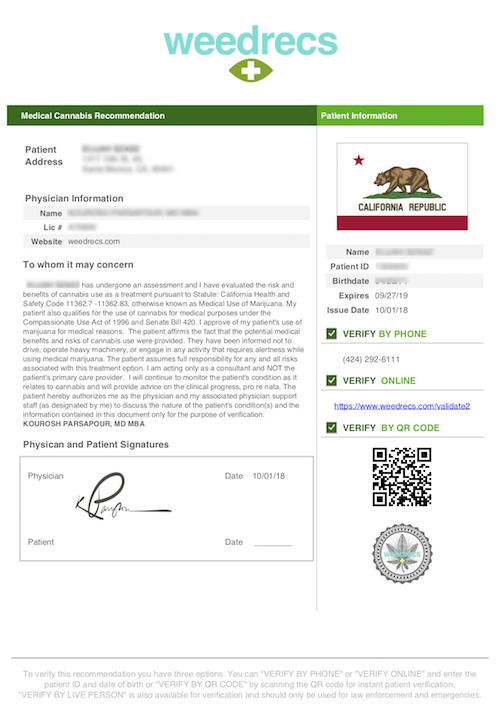 If you received a recommendation from Weedrecs, you have the opportunity to upgrade to a paper certificate, card, or both. You may also replace a lost recommendation using the same form. IMPORTANT: We don’t claim to be the only online recommendation, only the best one. There are many recommendation websites, so make sure your original looks like either of the ones below. 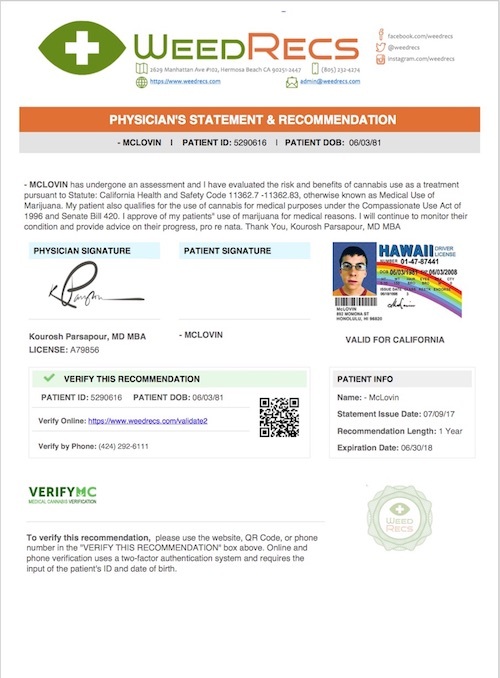 You must be an existing patient of Weedrecs. If you are not and attempt to transact through this form, no refund shall be issued. If you received a free recommendation from one of our dispensary partners and would like to upgrade, go here. Paper Certificate: In addition to the emailed recommendation, you will be mailed a paper copy with the official stamp and signature. Plexi-Rec ID Card + Paper Certificate: In addition to the paper copy, we will mail you a convenient wallet-sized ID card with your photo on it. 2 Paper Certificates: Because we all lose things and it is nice to have a backup. Join Our Email List for All the Latest News!